Alappuzha also known as Alleppey is the Venice of the East and rightly so. Swaying palms, silver beaches, charming lagoons and canals make it a charming sight. Not surprisingly, it is one of Kerala’s most popular tourist destination and attracts a steady inflow of tourists all around the year. Alappuzha has a fascinating history. 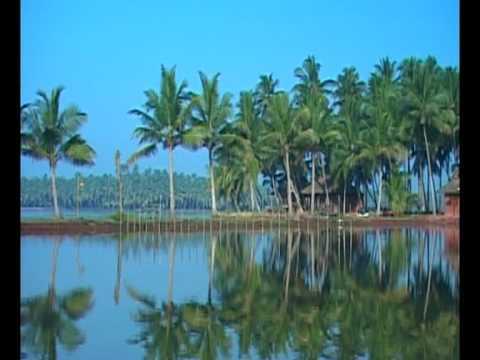 According to legend, coastal areas in and around Alappuzha used to be under water. In time, silt and sand came together to form it. 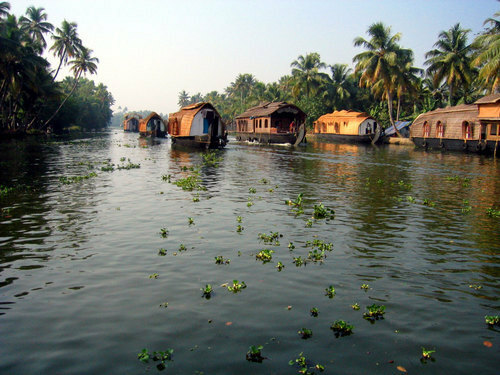 In the ancient times, Alappuzha was under the reign of the powerful Chera rulers. It was an important centre of religion and culture in the 9th to 12th century A.D. It was around this time that the Portuguese settlers arrived. They built a lot of magnificent churches in Alappuzha. Trade and commerce flourished. 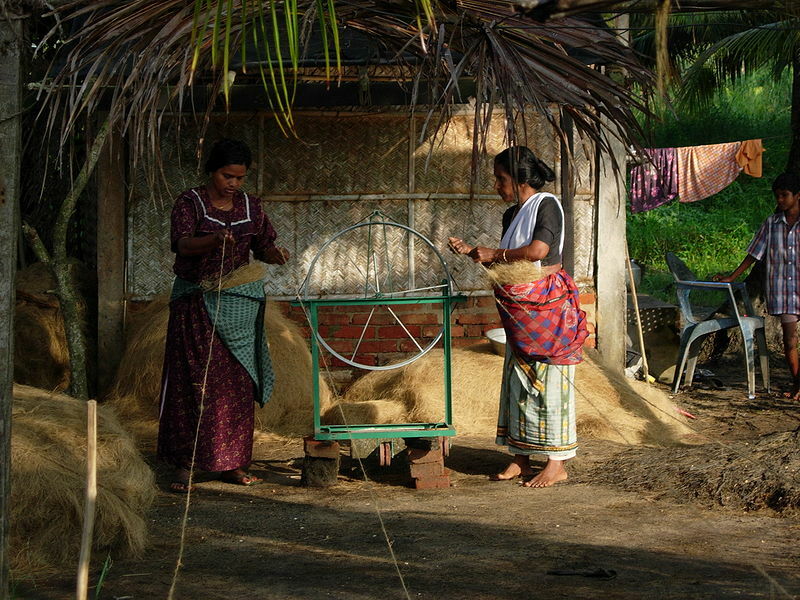 In fact, even in those days, Alappuzha traded with Arabs in coir products - coirn yarn and fibre as well as pepper. Today, Alappuzha is a leading exporter of coconut oil, arecanut, cardamom, sugar and pepper. Probably the only thing that can match its exports is its picturesque beach. Fringed by imposing buildings, remnants of the colonial past with a 140 year old pier that extends into the sea, it is a rare sight indeed. Alappuzha has two parks with boating facility available in both. Make it a point to cruise along the backwaters. It’s a great way to get a first hand glimpse of Alappuzha’s riverside life! Of course, no mention of Alappuzha is complete without its famous boat races. During the monsoon months of August and September, the backwaters come alive to witness the human marvel - the snake boat races. Thousands of spectators gather along the banks to cheer the teams on. The boat crews practice for months before the event, a fact that is evident in their smooth, well co-ordinated moves. Do try and catch this glorious event! The highlight of this magnificent temple is its massive oil lamp made from granite. This lamp can hold up to 1,000 wicks. When they are lit together, it truly creates an unforgettable sight. The best time to visit the temple is February and March when a special festival is held for the Bhadrakali deity who is known with her miraculous healing powers. Located in the Ambukuthis hills, these caves were formed by a massive split in the side of a cliff. The two natural rock formations that resulted are a repository of well-preserved pictographs dating back to ancient times. These caves are considered to be among the finest in the world. You have to hike about half a mile along a trail to reach them. The Travencore Kings lived in this spectacular palace dating from the 1800s. It has crystal chandeliers and ornate furniture that take you back to these regal times. It has a red brick exterior and has gables and pagoda shape. The palace comes alive at dusk when lights turn the palace into a work of art. Here you can witness the 11th century statue of the Buddha. It is the source of many historical legends. Just two miles east of Alleppy, a visit to this site is worth a quick stop, as the atmosphere is positively magical.